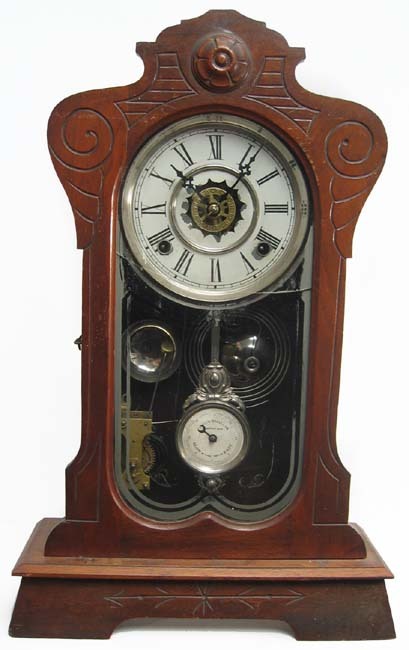 Waterbury "Clifton" walnut parlor clock. This clock has a good clean finish but note that it has a chip at the very top and the glass has a crack. The painted dial has just a small amount of flaking. It has two good labels and the original Jacot regulator pendulum. The hands have been replaced. 8 day with hourly strike on a gong plus an alarm on a bell. It is running. 20" tall.